In 1910, the ONTARIO was running before a strong gale, she had a deck-load of bailed hay, straw and shanty supplies for the northern camps and was heading for the shelter or Chantry Island harbour of refuge just below the town of Southampton. Ahead of her was the schooner ERIE STEWART, also running for shelter. 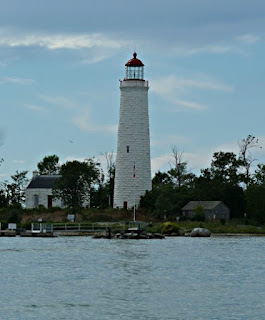 It was dark and blowing and Capt Granville could not see what happened, but the ERIE STEWART poked her Jibboom through the little range light on the end of the pier, and knocked the light-house down, all Capt. Granville knew was he could not pick up his range to get under the shelter of Chantry Island, so he tried to get the ONTARIO into the shelter of the mouth of the Saugeen River, around which Southampton clusters. The schooner was under small sail at the time, only the staysail being set, and that being "squatted" or lowered somewhat so as to reduce its area. On nearing the river mouth the wind shifted and a gust came off shore. The ONTARIO lost headway and piled up in the breakers on the shore south of the present piers, and that was where her anchor was recovered in the dredging operations. ...the Great Lakes have a long history ship wrecks. This is a bit of history that is new to me, thanks for sharing. 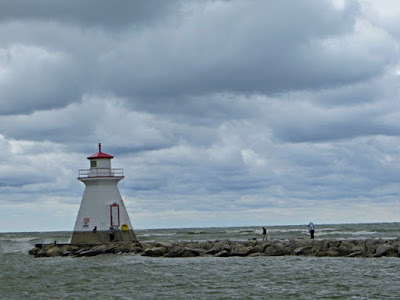 I love your lighthouse shots with the stormy skies. 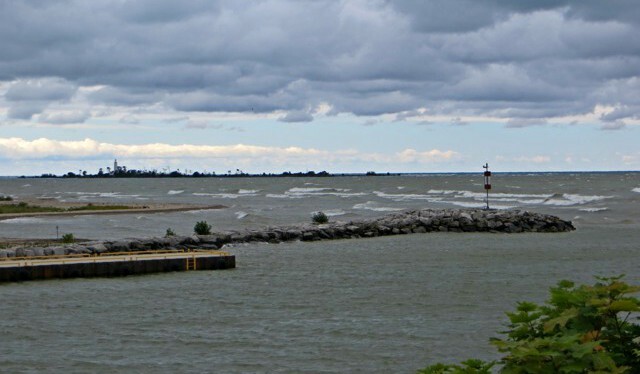 Having sat and watched the rough waters of Huron, one can see why there were so many shipwrecks. I can't imagine what it was like to be out on the Lake in bad weather in those times. Interesting post and wonderful pictures! It's a good thing to remain the anchor. Your photos are very beautiful. Love the lighthouse. 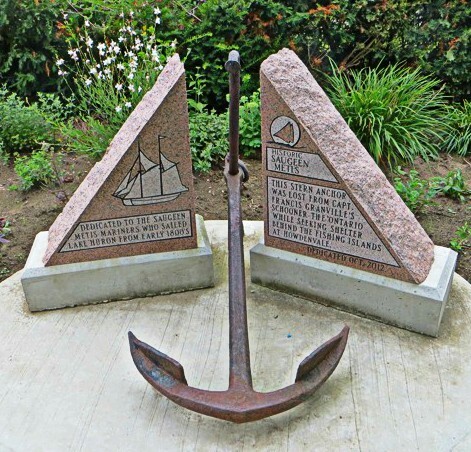 It's interesting to have the anchor of the old ship on display. It takes a lot of strength and smarts to be a captain of those large carriers. I love exploring these historical stories. Thank you for sharing and for popping by my blog this week. Have a wonderful weekend. What a wonderful pictures with beautiful sky!